Conservative Bim Afolami, MP for Hitchin and Harpenden, has said the proposed expansion of Luton Airport is both “unsuitable” and “unsustainable”, and its growth would be “Bedfordshire’s gain – Hertfordshire’s pain” in terms of noise and pollution. The airport, owned by Luton Borough Council, published its ambitious growth plan – to expand not only to 18 million annual passengers, but to 36 – 38 million – in December. It hopes to reach the 38 million by 2050 with 240,000 flights a year, using its one existing runway. The local geography is such that adding a second runway would be virtually impossible – slopes. Mr Afolami told a Westminster Hall debate on Tuesday that he “was not against airports” and “recognised the jobs and economic growth the airport brings to the UK and to Luton” ….but “The proposed expansion to more than double Luton’s passenger numbers is both unsuitable to the local area and unsustainable in the context of the constraints that exist in rural Hertfordshire. Luton is just not the right place for an airport of the proposed size of 38m passengers. However, Transport Minister Paul Maynard said that the airport was already “actively engaged” in local consultation. Luton airport is planning to increase its annual number of passengers to 18 million, from around 15 million at present. Work is under way to achieve this, with new buildings, new taxiways etc. However, the airport is now saying it plans to take advantage of an apparent shortage of runway capacity in the south east, in the coming decade, to try to grow to 36 – 38 million annual passengers. This has come as a surprise to many. Only two weeks earlier an airport senior manager was asked what happens when Luton reaches 18mppa, and he said they would flat-line as the terminal could not cope with any more people. The Chairman of LLACC (the Consultative Committee) did not about it either. Also, LLAL (the arm of Luton BC that owns the airport) recently purchased a huge tract of land nearby (Wigmore Park) and said it would not be used to expand the airport but to diversify business-land investment. However it appears that the airport may be planning a new terminal on the land, as the only way to achieve new growth aspirations. Hertfordshire County Council are doubtful about the expansion, raising many possible negative impacts for the area, including surface access traffic. Andy McDonald said: “Following the decision to leave the EU, supporting UK aviation has become more, not less, critical if the UK is to remain a global, outward-looking trading nation. A third runway at Heathrow remains subject to a Commons vote and, even if given the final go-ahead, it will not be completed for at least another 10-15 years. Heathrow is not a silver bullet for solving our air capacity constraints. We face capacity challenges here and now. That’s why more needs to be done to support connectivity into and out of other airports across the UK to unlock existing unused capacity, and develop the huge potential they have.” Airports like Luton are keen to capitalise on the years before any new runway was built, if it ever happens. The CEO of Luton hopes of fast rising air passenger demand for years, and that the aviation industry “must be granted the conditions to help it capitalise on this growth potential … If the UK is to fully realise the economic potential of the aviation industry, airports must be supported by better transport links. The East of England CBI says the “re-letting of the new East Midlands Rail franchise offers the opportunity to deliver more fast trains to Luton Airport by simply stopping trains that already pass through the station every day”, which would help Luton serve more passengers. Monarch’s administrators have won their appeal against a High Court decision which prevented them from selling valuable take off and landing slots at Gatwick and Luton. The slots are deemed to be the failed airline’s most valuable asset, but two weeks ago a court ruled that the slots for summer 2018 no longer belonged to Monarch as it had gone out of business, backing a decision by independent body Airport Coordination Limited. However, administrators KPMG said today that they had won an appeal against the ruling, meaning that they will be able to sell the slots to other airlines. EasyJet, IAG, Wizz Air and Norwegian Air Shuttle have all previously expressed an interest in buying the slots. Monarch’s owners, Greybull Capital, have the first call on the failed carrier’s assets, after which any surplus will be shared out amongst its creditors. Click here to view full story …. Luton airport is to ask ministers for four express trains an hour to its railway station from the centre of London. The airport is trying to overturn the plan in the retendering of the East Midlands train franchise for the number of fast trains to Luton Airport Parkway to remain at one an hour and even to reduce that at some periods during the day. Campaigners fighting to stop aircraft noise pollution above St Albans and Harpenden are calling for targets to be set for the introduction of quieter planes. easyJet, based at Luton, has introduced their first neo-engined A320 aircraft, which are a bit quieter than standard planes, and the Luton and District Association for the Control of Aircraft Noise (LADACAN) is calling on airport operators to expand their roll-out of these aircraft to decrease noise pollution. LADACAN spokesman Andrew Lambourne said: “We welcome this long-awaited step, but let’s remember that we were promised quieter aircraft hand-in-hand with significant expansion. We’ve had much faster than anticipated expansion, so now we’re asking for an accelerated roll-out of these quieter aircraft, instead of continuing to add more of the noisiest types to the mix. Let’s hear details of proactive measures to attract quieter planes to Luton by way of reducing landing fees for quieter types and increasing fees for noisier types. Meanwhile we are still calling on the airport operators to tighten their noise controls and raise the penalties for noisy flights as an added incentive to change.” While easyJet makes nice-sounding statements about reducing CO2 and noise impacts per flight, they plan to increase the number of flights as much as possible – negating any improvements. Three campaign groups, representing St Albans, Harpenden and wider-Hertfordshire have banded together to call upon local politicians to do more on the problem of increasing aircraft noise, than merely call for a review or consultation on the problem. Campaigners from the alliance of HarpendenSky, Save our Skies (SoS) and Herts-based LADACAN say St Albans is at risk of ‘turning into Heathrow’ unless the rise in noise pollution is stopped. Luton had more passengers than ever in 2016, at about 14.5 million. But there was also a 150% increase in complaints about noise. Residents in Hertfordshire want Bedfordshire, which owns the airport, to suffer more of its noise. Luton airport is owned by Luton council, and people in Hertfordshire say as Bedfordshire gets the profit, they should take more of the pain. Planes are getting bigger, heavier and noisier, and are flying even earlier in the morning and later at night. There is more noise affecting Flamstead, Redbourn, Harpenden, St Albans, and on to Sandridge and Stevenage. People overflown by increasingly narrow flight paths want politicians to do something and challenge the airport. However, politicians are always nervous of saying anything that might do perceived damage to economic growth, such as demand a ban on night flights. EasyJet says it has opened talks with EU member states’ aviation regulators about relocating its legal headquarters from the UK, due to the Brexit decision. Sky News believes easyJet’s Carolyn McCall has had meetings with several unidentified EU states to explore the possibilities, but details could take months to be ironed out. It is thought that the most likely workable structure would be to be an EU-registered entity with a UK subsidiary”. easyJet would need to obtain a air operator’s certificate (AOC) that would enable it to base its HQ in an EU country. Some of the states would want an airline with an AOC to move the bulk of their operations there, but it is understood that easyJet is not willing to do that. One insider said moving the HQ could entail relocating just a handful of staff, depending on the regime operated by the individual country’s aviation regulator. Moving the AOC to another country would mean the current AOC in the UK would become just a subsidiary. Whether that would mean jobs being lost at easyJet’s main UK base, Luton, is not known. British Airways’ parent, International Airlines Group, already operates using a similar structure with its AOC. Ryanair, whose main source market is the UK, has also said it will obtain a UK AOC should it need to. Luton plans to replace its much-maligned bus transfer service, from the station to the airport, and instead build a light rail link, costing £200 million. The 1.3 mile rail link could cut the journey time from London St Pancras to the Luton airport terminal to less than 30 minutes, which is faster than the time to Gatwick. It would connect to the terminal from within the Luton Airport Parkway railway station, one level above the platforms. A normal rail link has not been possible due to the steepness of the climb uphill to the terminal. The automated light rail service will be funded by Luton Borough Council, which owns the airport freehold and owns the necessary land. The role of the council will be controversial and the scheme will need to be scrutinised for conflict of interest. The airport is spending a further £110 million on redeveloping its terminals and layout to expand capacity from 9 million to 18 million passengers per year by 2020. EasyJet, the biggest airline using Luton, said the redevelopment was a key factor in its pledge to double the size of its operations there over the next decade. A planning application would be made in autumn for work to begin in 2017. The DfT is also working to enable travel between London and Luton by Oyster card or contactless payment by 2018. Luton Airport has submitted an application to ‘simplify’ noise limits as it starts its expansion programme. The airport has asked its owner, Luton borough council, to change a condition on the planning permission it granted in 2013, to lessen stringent noise limits. St Albans district council has been warned in an officer’s report that this change would “increase noise over and beyond levels that were previously considered unacceptable”. Luton Airport is worried it will struggle to meet one of the conditions attached to its approval, and that airlines found exceeding noise levels will face more penalties very frequently – day and night. Within 6 months of starting its expansion – to ultimately nearly double passenger numbers – the airport is supposed to reduce noise from all aircraft, to lessen the impact upon neighbouring residents. Instead of the condition placing a limit over all 24 hours of the day and night on noise levels generated by all aircraft., Luton wants the reduction to affect planes flown overnight only – between 11pm and 7am. The report by the St Albans council officer says there are already planes exceeding current noise limits. Luton Council has yet to decide on the application. Luton airport wants to have a rail link that connects directly to the Midlands mainline and reaches central London in 20 minutes. Luton is starting a £100 million project that would increase its passenger capacity by 50%, up to 18 million per year. That follows a significant upgrade of the nearby stretch of the M1 and the creation of its own airport junction. Currently getting to the airport by public transport is a hassle, and airport staff agree that it puts off many travellers despite Luton’s destinations offered by easyJet, Wizz Air and Ryanair. Luton wants to be an integrated part of the transport network. The work starting now is to increase aircraft runway access, the number of boarding piers, and terminal space (including more shops) should be finished by 2020. The airport’s operators — Aena, the Spanish-owned largest airport group in the world and Ardian private equity — are funding the present construction programme, the question of who pays for a rail link is unresolved. The airport’s freehold is owned by Luton borough council and Aena and Ardian’s operating concession expires in 2031. So will the taxpayer have to pay for rail improvements? Luton wants to attract Norwegian from Gatwick, and Vueling from Heathrow. Luton airport held a consultation on changing some of its flight paths, between March and June. The changes involve using precision navigation, RNAV, enabling aircraft to fly more precise routes. In effect this means the flight paths are concentrated, and the the aircraft are all channelled down a specific track. The trial departure route is the one which heads out to the west and then turns left to navigate between Markyate and Flamstead, and left again to navigate between Hemel and St Albans to the south, and Redbourn and Harpenden to the north. Previously, its planes had not made this second turn at all accurately. For people who do not live very close to that track, it’s probably a better way to control wayward flights. But those who live underneath it may get all the flights thundering overhead. Luton has now submitted its proposals to the CAA for approval. The Safety and Airspace Regulation Group (SARG) will analyse the consultation feedback and technical merits behind the proposal against the requirements. Assuming all the necessary information has been provided, the SARG aim to provide a decision within 16 weeks. Monarch airlines plans to slash workforce by 1,000 jobs, up to 30%, to compete with Ryanair and EasyJet. Up to 1,000 jobs, about one third of its work force, will be cut at Monarch as it tries an overhaul to reposition itself as a low-cost airline competing with easyJet and Ryanair. Monarch is currently controlled by a wealthy Swiss-Italian family, and has been undertaking a strategic review of its business in order to attract new investors. It will drop its charter flights and focus on short-haul scheduled flights. It will cut its fleet of aircraft from 42 to 30. It will keep its focus on holiday destinations like Spain, the Canary Islands and Turkey but add more European cities and skiing destinations. Overall, it will fly more frequently to fewer destinations. They will no longer fly from East Midlands Airport. Monarch has its HQ at Luton airport, is made up of Monarch Airlines, tour operator Cosmos Holidays and an aircraft maintenance division. Monarch’s MD said “We’re on a trajectory of changing from a charter airline to a scheduled European low-cost carrier.” They recently ordered new planes, at the Farnborough air show. This is a £1.75bn order for 30 new Boeing 737 aircraft to be delivered by 2020. They carried about 6.8 million passengers in 2013. Aena manages 46 airports and 2 heliports in Spain, and provides management services at 15 more airports (including Luton) around the world. AENA is the major shareholder in London Luton Airport Operations Ltd (LLAOL) which has the operating concession for Luton airport. Now Spain’s Council of Ministers has given the go-ahead for a partial privatization of the country’s airports. Minister of Development Ana Pastor said that up to 49% of Aena Aeropuertos—the airport arm of the Aena Group—will be sold off, with the Spanish government retaining a 51% stake in the company. “The greater efficiency of Aena will be a positive stimulus for the aviation sector in Spain, as well as for other strategic related sectors, such as tourism,” Pastor said. Residents in the Luton area have held a meeting to voice their concerns following the decision in early May by the Government (Eric Pickles) to not call in the planning application for the expansion for Luton Airport. The meeting, chaired by Luton and District Association for the Control of Aircraft Noise (LADACAN), was held in Breachwood Green and was attended by about 50 people. They were encouraged to record aircraft noise, to keep details of the current situation. The expansion application would see passenger capacity rise from 12.5 million to 18 million a year by 2026. That decision has been widely criticised by local people,and by their MPs who realise it will adversely affect local quality of life for thousands. It means the expansion can now be granted by Luton Borough Council – which also owns the airport. There is very real and widespread concern about the number of night flights, noise both of departures and arrivals, road congestion, and air quality – as well as climate change implications. Luton Airport operators LLAOL have announced that Eric Pickles, Secretary of State at the DCLG, has decided not to call in Luton airport’s expansion plans. This means Luton Borough Council can now grant planning permission for works designed to achieve a doubling of annual passenger capacity. Local opponents of the expansion are horrified and saddened. Earlier a local opinion poll showed some 70% of the public who responded to the consultation over Luton Airport Expansion said “NO” to it. Local community group opposing the expansion, HALE, commented that the application is effectively large enough to be a NSIP (Nationally Significant Infrastructure Project) as it could perhaps add 10 million passengers per year. NSIPs have to be called in, as their scale and the extent of their influence warrant proper scrutiny, in detail. The airport and the government, have failed to take proper account of the local impacts of an extra 9 million passengers per year on local transport infrastructure, and the effect of noise from 60% more flights. “The throwaway comment at the end about being a good neighbour is meaningless …” Luton Council gave consent to the plans in December but Eric Pickles asked to review the decision. The controversial decision by Luton Borough Council to approve the expansion of Luton Airport has been widely criticised by community groups. Michael Nidd, secretary of the London Luton Airport Town and Village Community Committee (LLATVCC),has described the delayed, 8-hour meeting on 20th December, in which the decision was made as a “very, very expensive charade.” Only 6 of the development control committee’s 11 members attended the meeting, which had already been postponed. This came after Herts County Council demanded a second, impartial, legal opinion on Luton Borough Council’s suitability to make the decision, given it owns all of the shares in the airport. Michael Nidd said: “Only six of [the councillors] bothered to turn up, and we had hours and hours of very highly-paid people in the morning saying what a splendid scheme it is, but when it came time to debate, discuss and vote they spent as long as 10 minutes on it.” There is concern about the manner in which this decision, which has such colossal effects on all the surrounding communities, has been taken. Hemel Hempstead MP Mike Penning has written to Eric Pickles, to request that the decision be called in, due to the impacts on his constituency. HALE – the Luton opposition group – have set out here http://www.hale.uk.net/top-level-objections/ the main areas on which local people oppose the expansion plans. They are urging anyone, those affected by the airport in particular, to write to Luton borough council, and express their views. Even now that the planning application has been approved – but is still waiting for Pickles’ decision. Write to developmentcontrol@luton.gov.uk including your name and address and quoting planning application 12/01400/FUL. At a packed meeting on 20th December, half the members of Luton Borough Council’s development control committee voted to accept plans to expand Luton Airport’s capacity, with throughput to be capped at 18 million passengers per year – double the number in 2011. The other half of the members sent apologies – presumably due to the haste with which the meeting had been convened just before Christmas in order to avoid the year-old planning application from timing out – or in the case of David Franks declared an interest and withdrew from the discussion and vote. A notable absence from the committee seats was Amy O’Callaghan, Councillor for Luton South, the ward most affected by aircraft noise. This democratic deficit did not go unnoticed by members of the public from South Luton who had attended to make their voices heard. Expert advisers retained by the Council were on hand to hear these points, and HALE has followed up on a specific omission to the planning conditions in which commitments previously made by the airport to reduce night noise violation limits have been quietly dropped. The most unfortunate aspect of the meeting was that because objectors were barred from questioning the consultant experts, and the Councillors could not reasonably be expected to have the same understanding of the technical detail as experts from either side, the farcical situation existed in which key technical points could not be properly explored in open democratic dialogue. Such is the planning system we have created. The voting process when it came was heart-rending: all the Councillors expressed their deep concern over the seriousness and difficulty of the decision they were about to take given on the one hand the need to do right by Luton, and on the other hand the need to do right by the concerns of the people of Luton. In the end, Luton won – and hence lost. Meeting deferred, with no future date suggested. 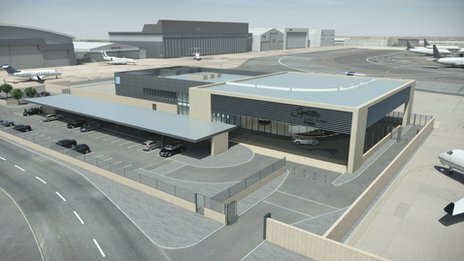 Luton airport claims 65% of respondents in favour of its expansion plans. But in reality 75% of the public are opposed. February 13, 2012 London Luton Airport Ltd, that owns the airport, has now launched its public consultation into expansion plans. The consultation (ends 26th March) is based on a few web pages of sketchy information and will include public exhibitions in village and community halls during February and March. They then plan to submit a planning application in April, expecting a decision by Luton Borough Council by Autumn 2012. The airport is operated by London Luton Airport Operations Limited on a 30 year concession (granted in 1998). The owner has the opportunity to terminate the current concession agreement from 2014. They want to increase passenger numbers from the current annual 9.5 million (in 2011, up to 18 million, while improving the passenger experience. This is what they call Optimisation. There is not one mention of climate change, or of carbon dioxide, in the entire proposal. They acknowledge there will be more noise, but there are no details and just thin, waffly assurances that everything possible will be done to minimise it. December 12th 2011 LUTON Airport’s proposal to double the number of passengers to 18 million a year has alarmed residents in Harpenden, with one labelling the move as “utter madness”. The airport is also looking at what its future potential capacity could be, if not constrained by its current boundary. However following a Freedom of Information request from local campaign group HarpendenSky.com, a spokesman has admitted it was inevitable that flying more passengers will increase air traffic and plane noise. The airport is owned by Luton borough council, but operated, managed and developed by a private consortium, London Luton Airport Operations Ltd. Click here to view full story ….. Bosses at London Luton Airport have unexpectedly withdrawn plans to build a new runway. TBI, the company which owns the airport, planned to build a full length replacement runway to the south of the existing runway, with a new terminal. They said the reason plans had been shelved was because it would take too long to make a return on the money that it would cost to build.